I ripped my boards down to 2 1/2 inches wide for the map frames. Remove all nails prior to making the cuts. Use a table saw to rip the boards down to size. 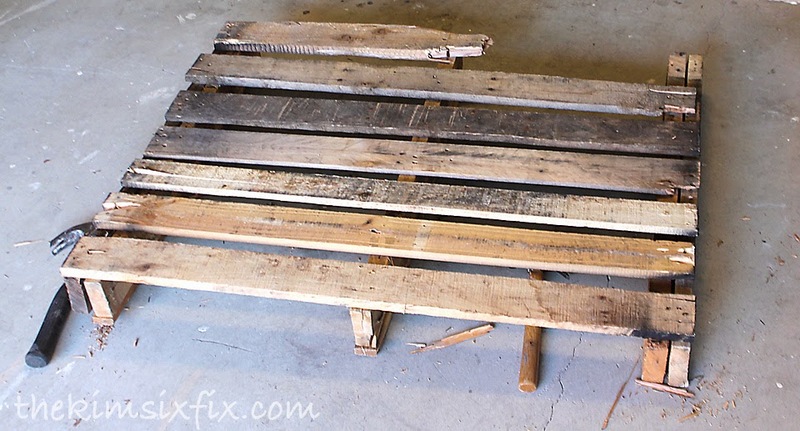 Run the straightest side of the pallet board against the table saw's fence. Cut 4 boards to create a boarder for each side of your map.